The HD 2301.0 Series of Hand-Held Thermo-Hygrometer, manufactured by Delta Ohm, is designed as a portable instrument with a large LCD display. 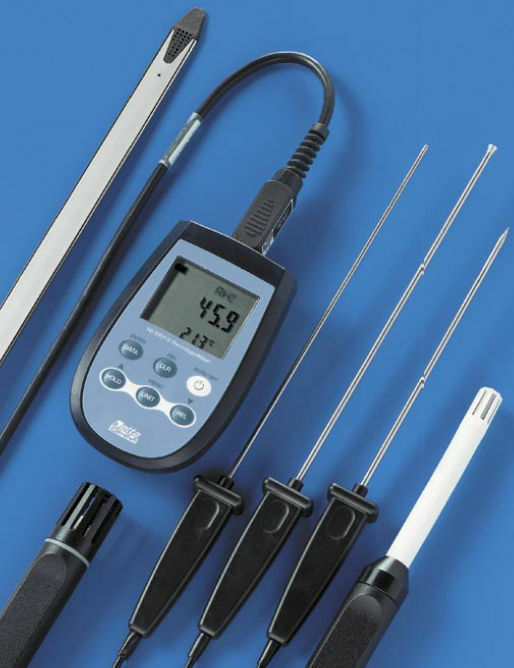 It is mainly used to measure relative humidity and temperature utilizing a Pt100 sensor or thermocouple humidity/ temperature combined probe. It can generate with a maximum temperature of -40 ... +150 °C, and built with 0 to 00% RH. Moreover, when the humidity/temperature integrated probe is connected, the instrument measures and displays the accurate humidity, the dew point, and the partial vapor pressure, ensuring efficiency. It is also provided with probes which are fitted with an automatic detection module, with the factory calibration data already stored inside.